You are buying the Kendall 2-Ply Non-Sterile Preppies Skin Barrier Wipes 50/bx, Model # 6560. ADW Diabetes offers a complete line of syringes made by Kendall. We offer these syringes in single boxes as well as case packs for your convenience. Shop with ADW Diabetes for low pricing and superior service. 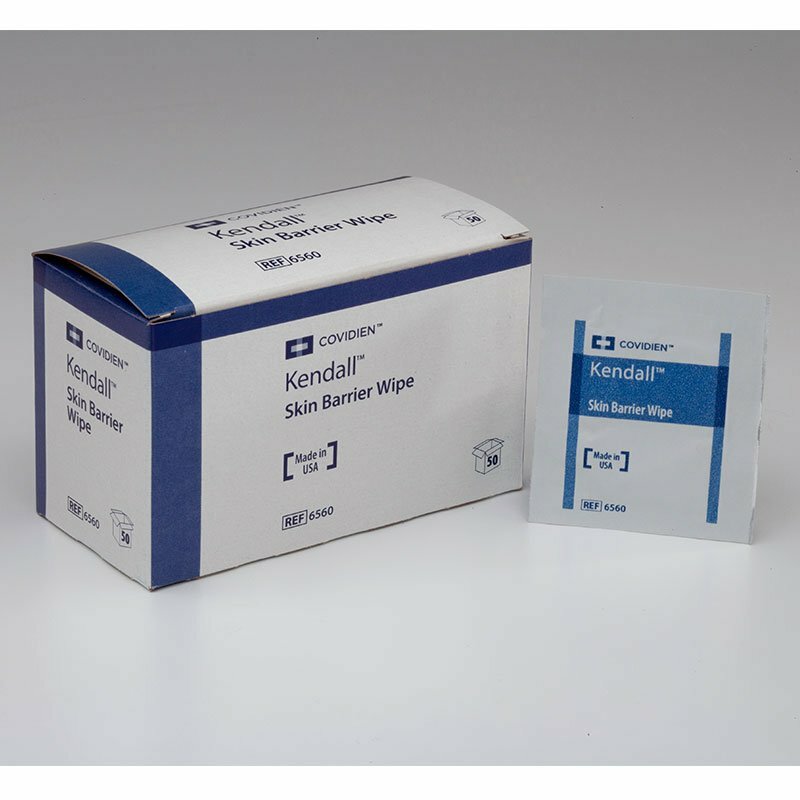 The Kendall 2-Ply Non-Sterile Preppies Skin Barrier Wipes 50/bx, Model# 6560 is a barrier wipe used in wound care prep. It provides an effective barrier between the skin and adhesive products. In addition, these wound care wipes also help protect against feces, urine, chemical irritants, and gastrointestinal fluids. The prep wipes can be used on frail skin. They are designed to form a protective barrier for aggressive adhesive products. The barrier solution in the prep wipes leaves a breathable film over the skin. This helps to reduce excoriation due to continual use of adhesives. These wipes form an effective barrier to gastrointestinal fluids and other contaminants, lessening skin irritation. They are ideal for protecting perineal and ostomy sites from feces and urine. The convenient packaging for these skin prep wipes is suitable for use in both hospitals and long-term care. With one wipe per packet, use of these wipes helps reduce waste by using only what is needed.